Roy Nissany was born in 1994 and raised in Europe. 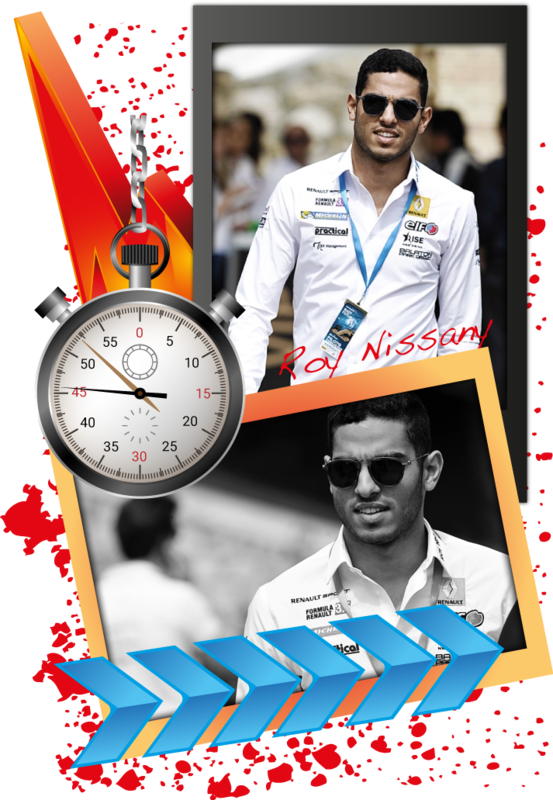 Roy got the interest for racing at a very young age and started to drive when he was six years old. After a successful period in go-karting in Europe, Roy stepped up in 2010 to compete in the Formula BMW Junior. In 2010 Roy competed in the Formula BMW Junior and achieved 6 podium and 3 victories including the Victory in Monza where he started on the grid from the 10th position and in the last lap last curve he overtook 2 drivers and won the race. In 2011 when he was 16 years old he raced with Muecke Motorsport for 2 years in the ADAC Formula Master and achieved high results including 3 podium with the heroic victory at the Red Bull ring. With this winning Roy could show his potential and opened the way to the F3 Euro series FIA Championship. In 2013 Roy raced in the FIA Formula 3 European Championship, the highest level of Formula 3 in the world. From the competition among 31 drivers his best result was the 7th place at Brands Hatch and 3rd place among the Rookies. In the 2014 season Roy continued racing with the Muecke Motorsport team in the FIA Formula 3 European Championship and has managed to finish 6th at the Nuerburgring after a most exciting fight. In 2014 Roy achieved the highest point of his career so far by testing Formula 1 with Sauber. Roy, a French/Israeli citizen says. “I always do my best under given circumstances”. In 2015 Roy moved to World Series as a rookie, his best result was a pole position and 3rd place in Red Bull Ring. 2016 Roy joined Lotus and had am amazing season: 7 podium, double pole position and winning in Silverstone, 1st place in the famous Circuit of Monza! In 2017 Roy continued in World Series with RP Motorsport and 6 podium including winning at Jerez, Spain. 2018 Roy signed to Campos Racing and joined to Formula 2 … to be continued.